Premier Dr D Orlando Smith last evening tried to defend his government’s handling of the territory’s financial affairs, adding that a motion of no confidence against him continuing as Minister of Finance is mere political grandstanding wrapped in falsehoods and a list of tired complaints. He added that the motion, which was moved by Leader of the Opposition Andrew Fahie, unfairly impugned members of his government. Fahie moved the motion in the House of Assembly yesterday in an effort to have Premier Smith removed from the post of Minister of Finance on the basis of alleged incompetence. But the motion failed because no other lawmaker volunteered to even second it. Premier Smith, in one of his lengthiest statements outside the annual budgets, referred to the Opposition leader’s concerns as diatribe, which means a forceful and bitter verbal attack against someone. “I see not just a list of falsehoods – although there are surely plenty of those. And I see not just a plain act of political grandstanding – although there is surely an element of that here, too. In fact it would seem that the Leader of the Opposition believes that the more he repeats the same diatribe, the more likely it will be believed,” Premier Smith said. He stated that he has broken his silence about the motion in order to – among other things – defend his personal integrity and his service as finance minister. “I speak for more than just protecting the honour and good name of the members of my government – all of whom have been unfairly impugned in the motion… I see the honourable member calling into question my integrity and my competence as Minister of Finance, and more indirectly this government’s commitment to carrying out the mandate of the people of this territory,” the premier continued. Premier Smith, in the meantime, tried to counteract each of the several reasons the Opposition leader had given for moving the motion of no confidence against him continuing to serve as Minister of Finance. In the final analysis, the premier suggested that he has been doing a good job as finance minister – a job he seems to think is being reflected in the economy. “The real question is whether the territory’s fiscal house is in order. That is not something that an audit alone tells you. To assess that bigger picture of our fiscal situation, one needs to look for other evidence – and that evidence is ample,” he asserted. Premier Smith noted that the government of the United Kingdom has reviewed and approved his government’s Medium Term Fiscal Plan. “That only happens when your house is in order,” he said. He also claimed that the territory’s debt has stayed low years on end. “That only happens when your house is in order,” the premier added. He also claimed that his administration does not make certain financial decisions without involving the House of Assembly. “This government only spends money on the basis of budgets that the House of Assembly sees and approves. This government only borrows money on the basis of plans that the House of Assembly sees and approves,” the premier continued. 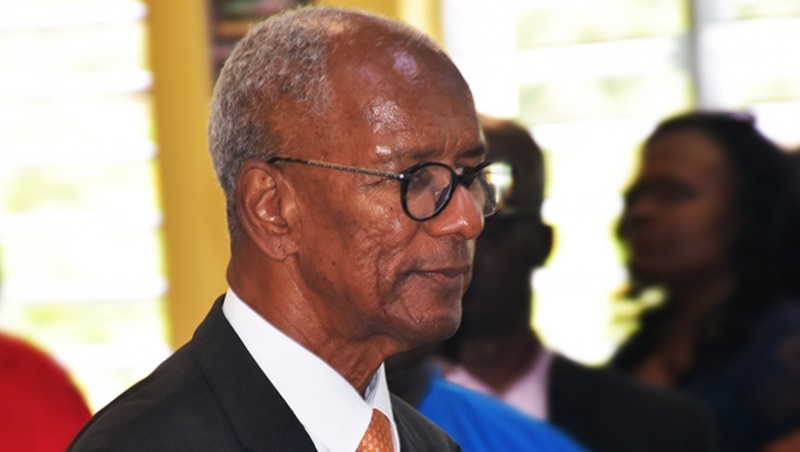 Premier Smith went on to state that the Opposition leader would be misleading the territory if he claims that the current government has not been managing the public’s money prudently. “It is false and misleading for the honourable member to suggest otherwise, and, frankly, irresponsible to suggest that this government should hit the pause button on crucial spending until the auditors do their work. The world does not stand still for audits. Neither does this government,” Premier Smith further said.